This is a limited 1-day only sale that will expire tonight at midnight (Tuesday, November 2, 2010). Click here to buy now or for more information about the deal. Don’t miss out! Tropical Oasis….not just another Tanning Salon….not just another Day Spa. 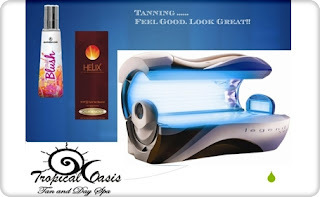 A little piece of heaven in the heart of Coquitlam providing a winning combination of UV & Spray Tanning, a Rehydration Steam bed and a multitude of professional esthetic services including gel nails, manicures, pedicures, facials, waxing, RMT massage, and much, much more. Tropical Oasis Tan and Day Spa, was created as a place where our customers would not only come to spoil themselves, but they wouldn’t have to go far to do it. In today’s busy world people look for “convenience” but they also look for “quality” so our mission is to provide both.